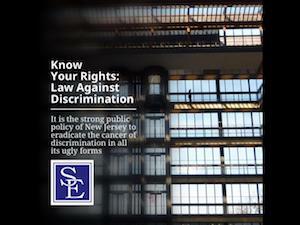 Have you suffered from discrimination because of your sexual orientation? Does your supervisor or coworkers make unwelcome and inappropriate comments about your sexual orientation? Our firm addresses legal issues involving the workplace rights of gay, lesbian, bi-sexual and transgender employees. State and federal laws make it illegal to discriminate against an employee on the basis of his or her sexual orientation. Some employers seem to think that this law does not apply to them, and they openly taunt or otherwise discriminate against gay, lesbian, bi-sexual or transgender (LGBT) employees. If your civil rights were violated, we are here to hold employers accountable for their wrongdoing. The New Jersey Law Against Discrimination provides an employee to be free from intimidation, harassment and hostility because of their sexual orientation. Affectional or sexual orientation is defined by the law as male or female heterosexuality, homosexuality or bi-sexuality by inclination, practice, identity or expression, having a history thereof or being perceived, presumed or identified by others as having such an orientation. A "hostile work environment" based upon affectional or sexual orientation occurs when an employee is subjected to sexually harassing and unwelcomed conduct, that occurs because of the employee's sexual orientation and which a reasonable person of the same sexual orientation would consider the conduct sufficiently severe or pervasive to alter the conditions of employment. If an employer knows or should know of the hostile work environment, it is required to remediate and stop it. If it does not remediate or stop it, the employer is looked at as joining the harasser in making the working environment hostile and sending the harassed employee the message that the harassment is acceptable. It is also illegal to terminate an employee for making complaints concerning sexual orientation discrimination. In order to sustain a claim for retaliation based upon sexual orientation, an employee must have an objectively reasonable and good faith complaint about a prohibited conduct, practice or act of the employer and suffer a reprisal or adverse employment action as a result of such complaint. 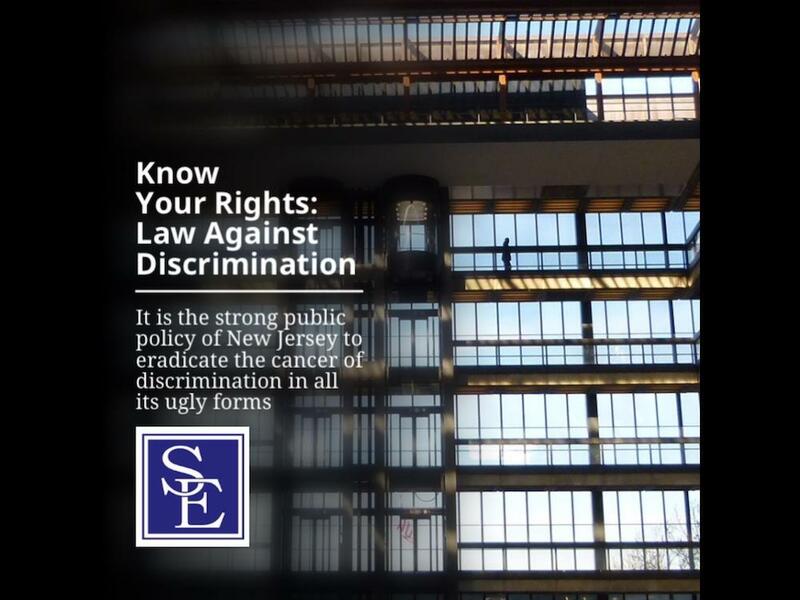 Under the New Jersey Law Against Discrimination, it is an unlawful employment practice to take reprisals against any person because he or she has opposed an act or practice outlawed by the New Jersey Law Against Discrimination, including complaints of sexual orientation discrimination. In you believe you have been the victim of sexual orientation discrimination, please contact our offices to schedule a consultation with an experienced employment attorney.